It is only a small border you cross when you go from Argentina to Bolivia but this border changes so much! The people in Bolivia smile so much, are so joyful and very open. 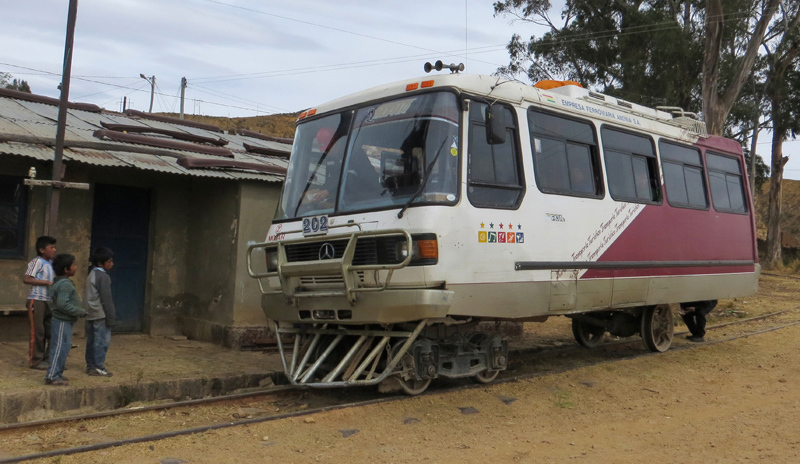 The Bolivians speak a very slow and clear Spanish - we like that a lot ;-) And after all Bolivia is insanely cheap! You can get a piece of cake for 0,12€, a fresh orange juice for 0,22€, lunch in the street for 1,20€ (Picante de Pollo) and you can get a private room in a Hostel 7,70€ for 2 persons. As we had spent the 3 weeks before in rather expensive Chile & Argentina we enjoyed the very low prizes and went to eat & drink much more often. Our first stop in Bolivia was the rather calm town Tupiza which is the starting point for a 4 day and roughly 1000km Jeep-tour through the amazing REA National park and the Salar de Uyuni. As Tupiza lies 3000m above sea-level we spent 3 days there to acclimatize before we started the Tour which would take us up to 4900m. The first Jeep we started with had the first engine breakdown after one hour. After 8 more motor breakdowns (as soon as we were going uphill the motor would stop running...) our driver decided that we go back to Tupiza and change the Jeep - a very good decision :-) Our second Jeep was very trustworthy and we never had a single problem with it (except for all the dust entering through some holes - but we guess that is unavoidable when driving through the desert). 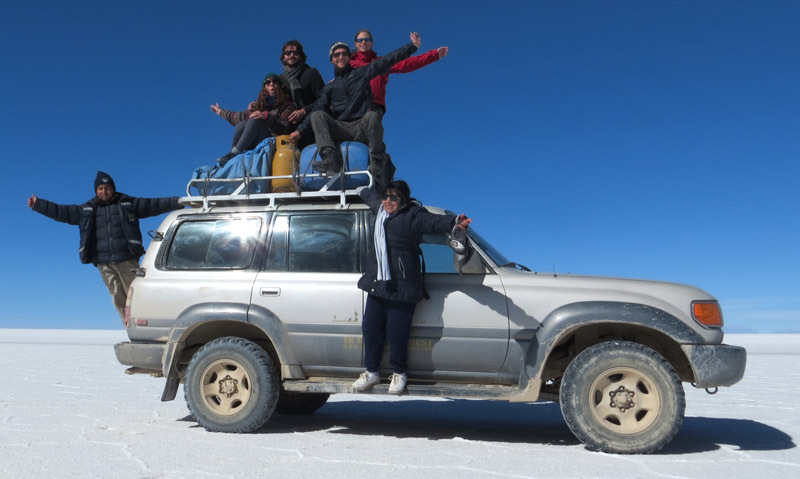 The Jeep-tour through the REA National park and the Salar de Uyuni was simply breathtaking! Seldom have we seen such an amazing landscape so unspoiled. It was truly amazing, beautiful and very authentic. 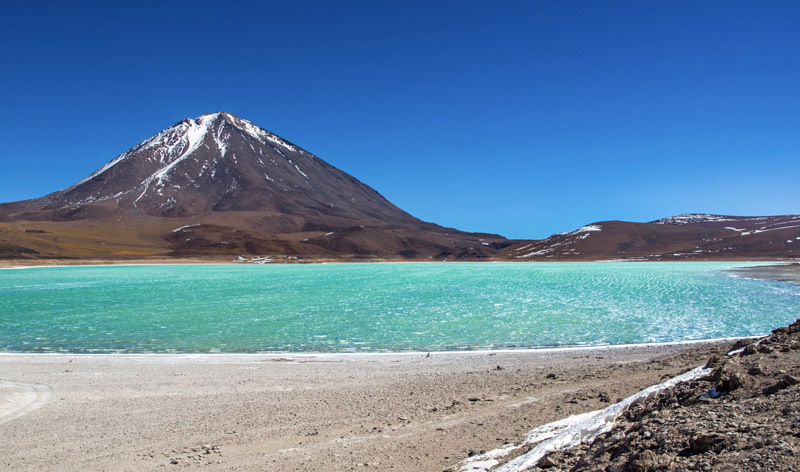 The landscape was very diverse - we saw moon valleys, different deserts, a geothermal field, countless lagoons of whom 2 were very colorful (Laguna Verde and Laguna Colorado), bathed in geothermal hot water, saw majestic Flamingos, of course lots of Lamas and Vicunas. 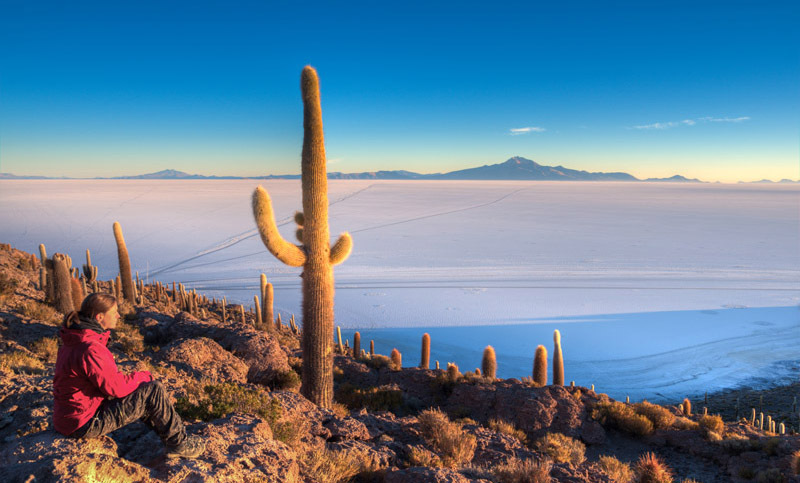 We even saw ostriches, drove through snow covered volcanic landscapes and last but not least we visited the Salar the Uyuni - the worlds biggest salt flat. Words can not describe the beauty of this national park so it is best to view more pictures in the Gallery. 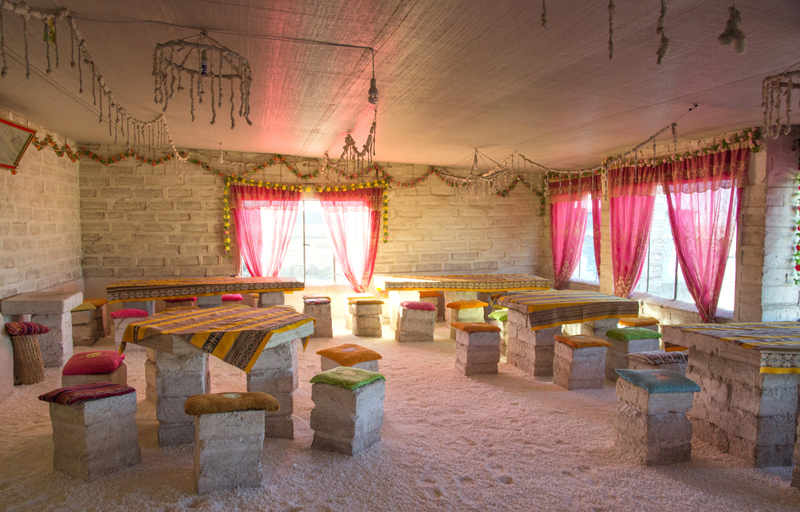 During the nights it got VERY cold in the desert - outside it was approximately -15°C and as the accommodation of the first and second night were both very high (over 4000m) and very basic it would get down to 0°C inside of the room. The last of the 3 nights we slept in a salt hotel (where everything is made out of salt - the walls, the tables, the chairs) which was a wonderful experience! 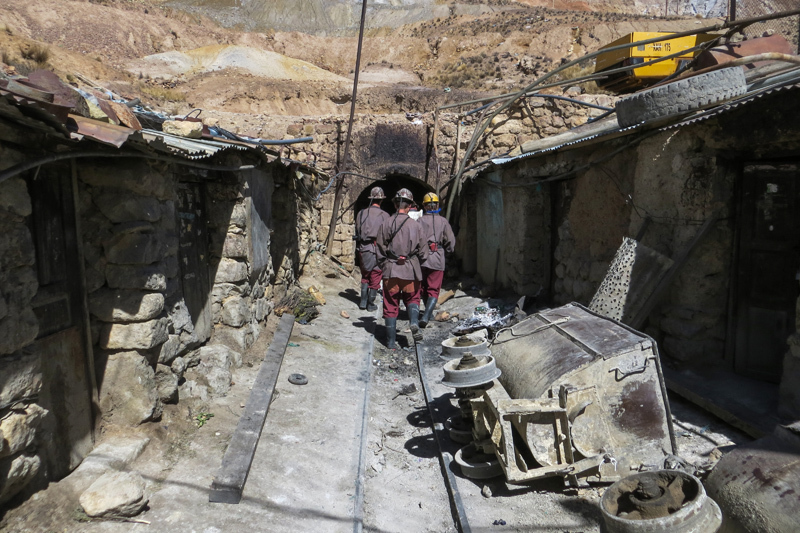 Our next stop after the tour was Potosi - a colonial spanish city famous for it's silver mine. The buildings in Potosi have a wonderful architecture which we appreciated & enjoyed a lot. On one day Edgar went to visit the silver mine - a very moving and intense experience. The working conditions in this mine are simply unimaginable. After we had spent several days in Potosi we moved on to Sucre. We decided to take the "train" (6 hours) instead of the bus (3 hours) as many people had told us it was a wonderful experience - which truly was the case. eating in the street is much cheaper than getting the ingredients to cook yourself. However from time to time we cooked because we enjoy it and because it is healthier.